A gender pay gap is a measure of the difference in the average pay of men and women - regardless of the nature of their work across an entire organisation, business sector, industry or the economy as a whole. It can be driven by the different number of men and women across all roles. The gender pay gap is different from an equal pay comparison, which would involve direct comparison of two people or groups of people carrying out the same, similar or equivalent job. The audit is not simply a data collection exercise. It entails a commitment to put right any pay inequalities and this means that there should be involvement and support from managers within the organisation to deliver necessary changes. 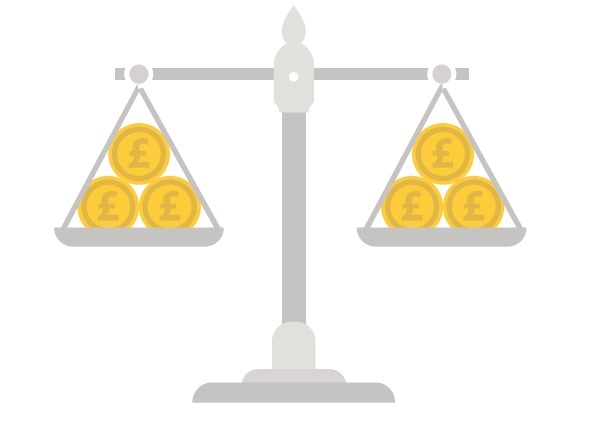 Croner Reward’s proprietary tool is designed to rigorously test the fairness of an organisation’s pay system through a variety of different tasks by analysing the required cross-sections of your organisation. These include probing the pay differences between males and females for hourly pay and bonuses. The output of this analysis indicates where, if at all, any risk and potential exposure exists. For both males and females, the essential features that have been analysed in this report are the base hourly full pay rates and bonus payments for all relevant employees. Bonus calculations relate to payments made to all eligible employees in the 12 months preceding the snapshot date. What’s Included in our Hourly Pay Calculations? Calculations of mean and median pay and of quartile pay bands are based on data from April 2018 only, including ordinary full pay and bonus/commission paid in the same pay period. The hourly pay analysis is based on 515 relevant full pay employees. The mean hourly full pay gap is 9.3% in favour of the male workforce; and the median hourly full pay gap is -6.7% in favour of the female workforce. The mean bonus pay gap is -5.8%; and the median bonus pay gap is -19.4%, both in favour of females. 5.3% of all relevant males and 1.6% of all relevant females received a bonus payment in the twelve months preceding the snapshot date. 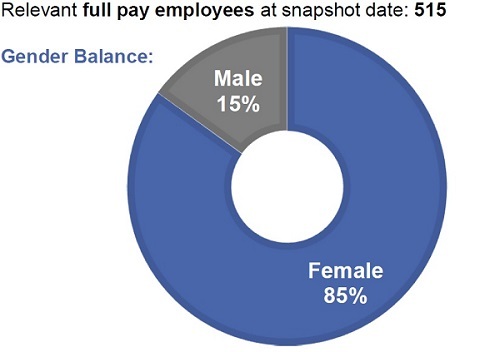 Total distribution of male and female employees by hourly pay quartile. Bonus pay difference between men and women.